There is a nip in the air, some might even say a bite! One can find oneself chilled to the bone this time of year or overtaken by a cold or flu. What to do, what to do? Well, I had this dilema myself recently and I decided to try one of those old fashioned remedies, hot water, lemon & honey. 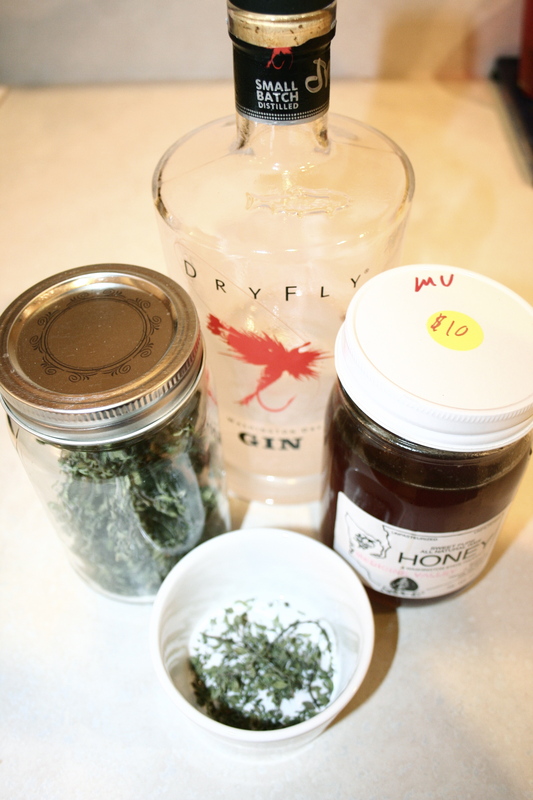 I didn’t have any lemon, but I did have a ton of dried lemon thyme from my garden and thyme sounded like the kind of herb that would be helpful, so, I gave it a go. 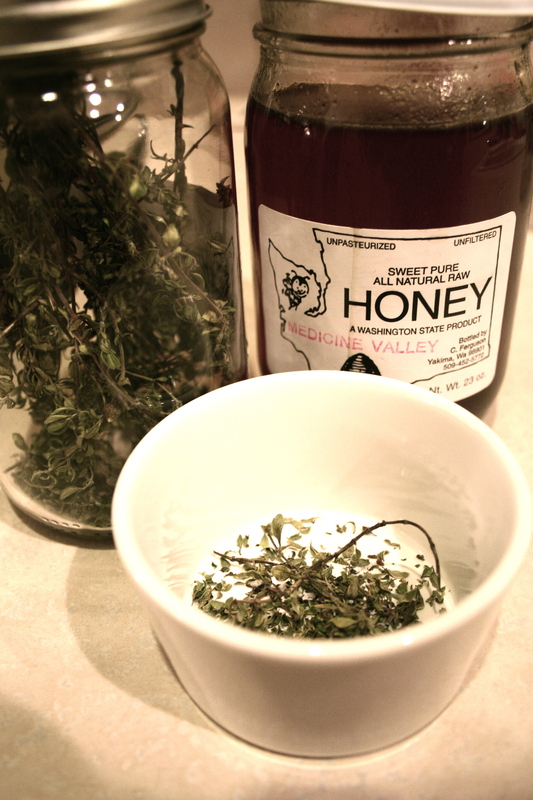 I boiled water, made some lemon thyme tea with some of my raw local honey. It already smelled like comfort and health. It was good, but something was still missing….and then I remembered, how could I forget? The prime ingredient? And let me tell you, it was fortifying, de-chilling and quite tasty. The closest flavor I can compare it to is that of a tart green apple with a bit of caramel. It wasn’t what I was expecting, but I was very happy with the result and even happier after imbibing the result. 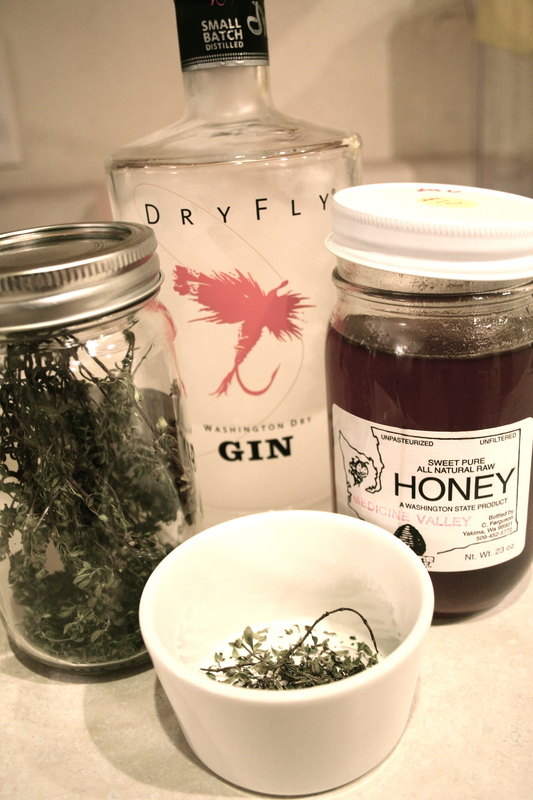 Grab some herbs, boil some water, add honey and a dash or two of strong spirits and watch the chills just vapor away. I love your kind of medicine, sister :)!